Bookcases provide needed storage and display, but moving and storing them is a challenge. Use knockdown bookcase plans to build shelving that is attractive and easily dismantled, while providing storage and decorating style. Choose contemporary or traditional styling to match your style and select warm, elegant wood stain or paint to add a bright accent to your room. Knockdown bookcase plans are easily customized to fit your space and are simple to build using the easy-to-follow instructions. Bookshelves can be modular or one-piece units that add plenty of room for displaying knickknacks and collectables, as well as storing books, magazines and DVD collections. 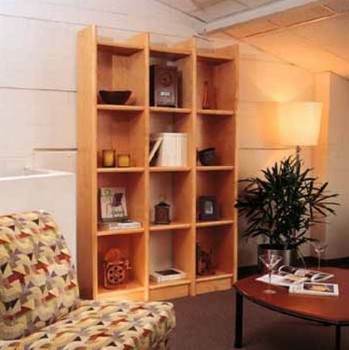 There are knockdown bookcase plans to fit any room in the house, from bedroom to family room or kitchen. Use fine woods to add style to the living room or MDF material for sturdy, long-lasting durability in the playroom. Here is a plan for an attractive trapezoidal bookcase with biscuit anchored shelving and through tenon joinery. 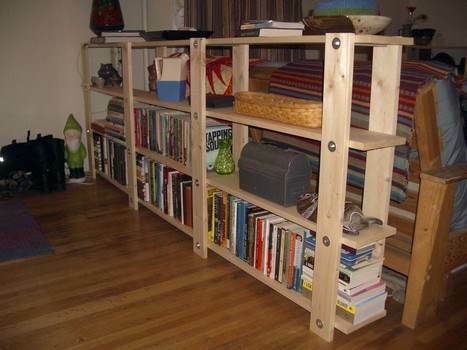 With a little money and time, you can build a 3 x 8 feet freestanding bookshelf in less than a half an hour. 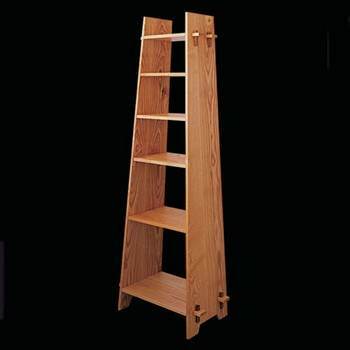 Create this unique contemporary bookcase that has 1 1/2 inch thick sides and 1 1/4 inch thick shelves. 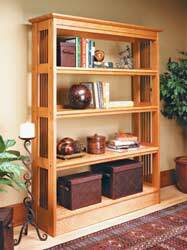 Here is a plan for an attractive slanted style bookcase that is easy to knock down and move or store away. 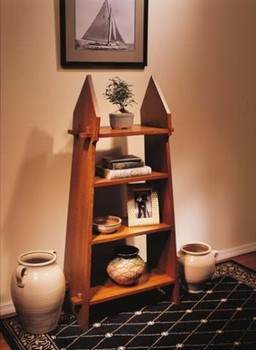 Build this beautiful knock-down bookshelf using these easy to follow plans.